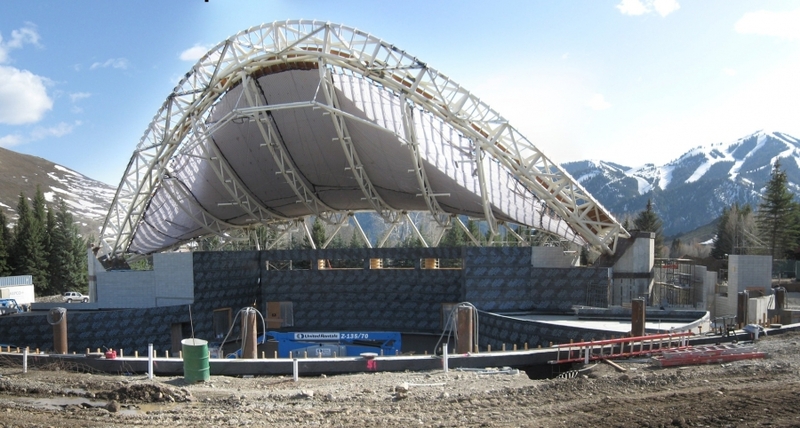 Sun Valley Music Pavilion | Jesse Co. 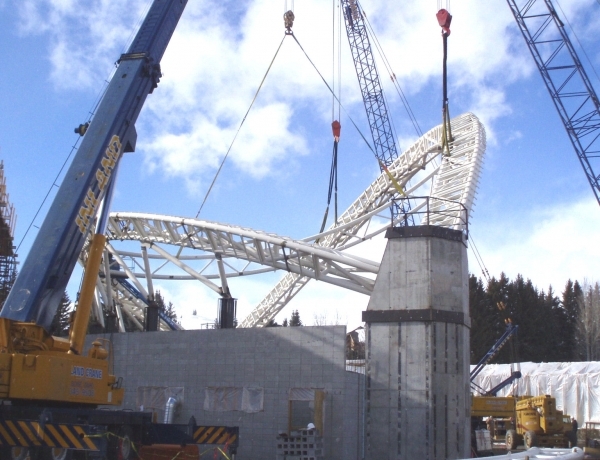 Fabrication of 200 foot and 170 foot Pipe Trusses, Bracing Trusses, and Support Columns for the Sun Valley Music Pavilion Project. 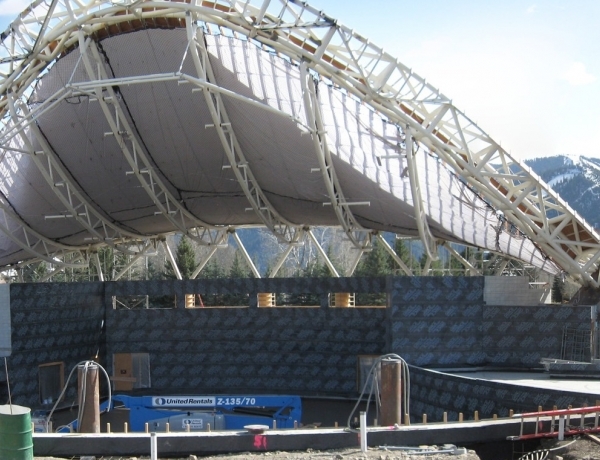 Trusses are dramatically curved with numerous attachment plates for anchoring the cabling system that makes up the Pavilion & roof. 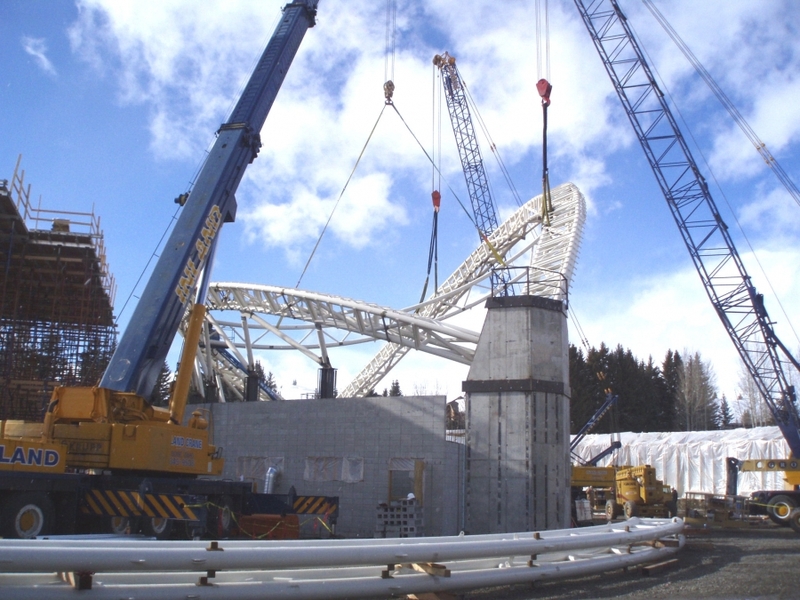 Project was highlighted by continual interaction with architect and engineer and extensive use of 3-D modeling and actual six mock ups to achieve desired look as well as successful sequenced erection of the structure at job-site.